Fuel cards | Fuel credit cards | What are they and how do they work? After declining in use by 3 percent from 2012 to 2014, fuel cards have made a comeback. According to a survey by Colloquoy, a research firm, gas card memberships increased from 24.5 million in 2014 to 43.7 million in 2017. Creditcards.com surveyed 28 fuel cards from the largest fuel card issuers. 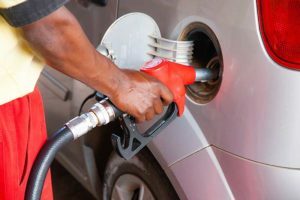 It found that the average interest rate charged for fuel credit cards was 23.61 percent and 17 of the cards could only be used at specific chain gasoline stores. However, fuel cards are important for businesses that have fleets of vehicles or several employees who have to drive for their jobs. 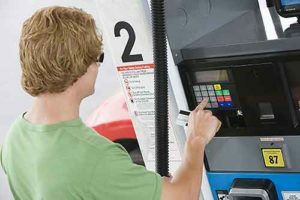 Using a fuel card can help businesses to keep their gasoline expenses in check and provide better insight into how the company’s money is being spent by each employee. A fuel card may either be a fuel debit card or a fuel credit card, but most are credit cards. A majority of fuel cards that are issued can only be used at specific gas stations such as Shell, Citgo, or Chevron stations. These cards can be used to pay for gasoline or diesel and to buy items inside of the stores. Fuel cards are used by both consumers and businesses. They allow people to purchase fuel without having to carry around cash. When employees use them, the businesses can pay for the gas expenses directly to the card issuers rather than asking employees to pay for the fuel and to request reimbursements of their expenses. Fuel cards are payment cards that consumers and businesses can use to purchase fuel for their vehicles at gas stations. If the fuel credit cards are fleet cards, the fleet managers may also allow their drivers to use them to pay for vehicle repairs and maintenance. A fuel card works like other credit cards. 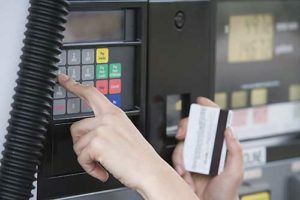 When your employees stop at a filling station, they can use their cards by inserting them into the terminals at the pumps or by taking them inside to hand to the cashier. If the cards are limited to specific chain gas stations, your employees will only be able to use the cards at those locations. How can a fuel card help me to grow my business? Using gas cards can help small businesses to grow. You are able to restrict each employee’s allowed expense categories so that they can’t use their cards at other types of retail shops besides gas stations. Gas cards also help to ensure that your employees will have the fuel that they need so that they can arrive at their destinations on time. When you use gas cards, you can eliminate your need for reimbursement processes. This can also help to save your company money in losses caused by inflated expense reports or fraudulent reimbursements. Gas cards can also help you to track your fuel expenditures by each employee, by a particular department, or company-wide. When you are able to track your expenses and reduce your losses, you can devote some of the money that you save into your business’s expansion. How do I research a fuel card? To research a fuel card, you should read articles about the different types of gas cards that are currently being offered along with the companies that issue the cards. Read reviews carefully so that you can compare the features of each card and things like the interest rate, annual fees, and rewards. Reading articles about a fuel card and other types of business cards on highly respected sites such as Forbes can give you a better picture of the benefits that a fuel card might offer. You should look for a fuel card that will offer your company the greatest benefits while helping to meet your fuel needs. What makes for the best fuel credit card? When you are searching for the best credit card for fuel, it is important for you to try to find a card that charges a low-interest rate. You should also try to find a fuel card that will allow your employees to purchase gasoline anywhere rather than being limited to a particular chain gas station. A good gas credit card should also allow you to generate expense reports electronically and to upload the information into your company’s account software. This can help your company to save the time and money that would be involved in data entry while also helping to avoid mistakes. A fuel card can also be a debit card. A debit card for fuel can provide several advantages to businesses. You do not have to credit-qualify for a business debit card because you won’t be applying for credit. This means that it might be easier for you to get than a business credit card for fuel. Debit cards also do not charge interest, and your employees’ gasoline purchases will not add to your debt. Instead, the money that they spend on fuel will be taken from your account. This can help you to keep track of your budget because you will know exactly how much has been spent since it is taken out of your account. Who benefits the most from a fuel debit card? Debit fleet cards can offer the greatest benefit to small businesses. Smaller companies might not have enough resources available to have internal accounting departments. In smaller companies, it may also be difficult for the owners to have enough time to manage the bookkeeping along with all of their other tasks. Using fleet debit cards can help you to manage your company’s travel and fuel expenses across your entire fleet of vehicles. This can simplify your expense management and help you to keep track of your fuel expenses. What makes a fuel debit card important? A debit card for fuel is important for small businesses because it can help you to mitigate your fraud risk while allowing you to keep your fuel expenses within your budget. According to a survey of fleet managers, fuel expenses account for 20 percent of the operating costs of their fleets. An estimated 5 to 10 percent of the costs could be cut by better detection of fleet fuel fraud. With a gas debit card, you can have more transparency in your fuel expenditures and see how much money each employee is spending. If you see that one employee is spending much more money on fuel than your other employees, you can address the issue with the employee directly. This can allow you to tamp down on fleet fraud so you can reduce your losses. How does a fuel debit card relate to a business’s needs? In today’s business environment, it is important for businesses to be able to respond quickly and to meet tight deadlines. One way to do this is giving your employees gas cards so that they can buy fuel when they need it. Using debit cards instead of credit cards can also save your company money that it might pay in interest, helping you to save even more. Debit cards for fuel can help you to control what your employees can buy while also allowing them to use the cards at any gas station instead of having to drive in search of a co-branded gas station. This feature can help to save additional money and time that your employees might spend by driving further to find the right gas station. Debit gas cards are different from credit gas cards. They do not require credit checks and are not linked to credit lines. Instead, when your employees make purchases with their gas debit cards, the transactions are subtracted from your own money. Debit cards also do not charge interest on your balances because the money that your employees spend is your own. Using gas debit cards can help your company to have purchasing flexibility without causing you to go into debt. A Houston man was charged with stealing $18,000 in fuel in 2014 from his employer by filling up the vehicles of his family and friends. According to news reports, 37-year-old Brandon O’Neal Fudge worked at the Billiards Factory and was issued a gas credit card by his employer. The gas cards all had unique pin numbers which allowed the transactions to be tracked. The fleet manager noticed that the gas expenses for the company had increased by $3,000 to $4,000 per month. Upon a closer review, the manager found that Fudge had made numerous purchases of unleaded fuel with his card. The company’s fleet of vehicles all ran on diesel fuel, however. When he was confronted, Fudge admitted his thefts and that he had been fueling the cars of his friends and family. He reportedly stole more than 5,400 gallons of fuel between Nov. 22, 2013, and May 23, 2014, when he was caught. In another case of blatant fuel fraud, 54-year-old Tyler Walker of East Hartford, Connecticut was arrested after he was caught in a police sting operation for stealing fuel from the City of Hartford. Walker worked for the public works department, and supervisors of the department noticed that more fuel was being taken out of the city’s supply than was normally used by the city’s vehicles. The police suspected that Walker was using a city refueling truck to steal fuel. They set up cameras to catch him in the act. Walker filled the refueling truck with 100 gallons of fuel and took it to a garage in East Hartford. As police watched, Walker pulled the refueling truck out and began to fill a private truck. After he was arrested, Walker admitted that he had stolen fuel on multiple occasions and would sell 100 gallons of fuel for $150 to make some extra money. One issue with gas credit cards is that you can’t turn them off remotely. If you learn that an employee has been abusing his or her gas card or an employee tells you that he or she lost the card, you have to call the card issuer to ask that the card is turned off. The Bento for Business Visa debit cards solve this problem by letting you turn off individual cards whenever you want. 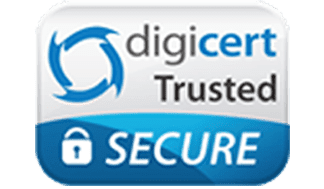 You can log into your secure dashboard on your smartphone and turn off an individual card within minutes by tapping a button. Another issue with credit cards is your inability to restrict your employees by how much they can spend and where they can use the cards. With a gas credit card, your employees can spend up to your available credit limit. 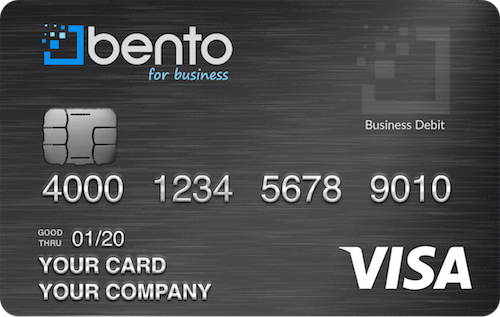 When you have the Bento Visa cards, you can set spending limits by the day or week for each employee and choose how much money you want to make available on each card. You can also prevent your employees from using their cards at other types of businesses besides gas stations. Some small businesses rely on their employees to pay for their fuel expenses themselves. The employees then submit expense reports with receipts to ask for reimbursement. This process can cause problems for both the employees and employers. Employees who use their own credit cards to pay for gas may become angry if their employers do not pay them back before interest is assessed on their personal card balances. They might then refuse to spend their own money for the company in the future. Employers may expend time and money to process the reimbursements. They might also lose money because of inflated expense reports or reports that are fraudulent. With Bento, you can eliminate the reimbursement process at your business. To gain a better understanding of the advantages that Bento for Business can offer to your company, imagine that you have three drivers who drive locally each day and an office manager. You can give each of your drivers cards that are restricted to fuel purchases only and set daily limits of $50 per day on each card. Your office manager can be given a card that he can use to pay invoices and to pay for supplies with a $250 daily limit. If your office manager tries to use his fuel card to have drinks at a local bar after work, the purchase will be declined. You will receive a notification on your dashboard and can address the issue with the office manager directly. Bento for Business has made a name for itself among its thousands of satisfied business customers and by major national publications. The company has received greater reviews on Capterra and TrustPilot, among others. Customers are able to try out business Visa debit cards which are a great fuel card solution. The free 60-day trial is available so that they can see how the Bento cards work for their fleets. To learn more, call 866.220.8455 with your questions.